We’ve travelled back to one of our favourite regions…the Eastern Caribbean! 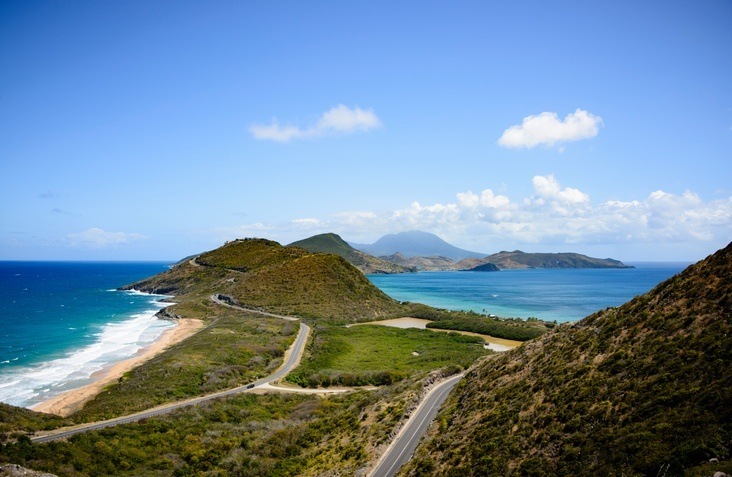 Join us this time as we explore the twin island country of Saint Kitts and Nevis. Native Americans inhabited both Saint Kitts and Nevis for thousands of years prior to the arrival of European colonists. By the time the first Spanish expedition discovered the islands, the dominant people were the Kalinago. Both Saint Kitts and Nevis found themselves clawed at by the three preeminent powers in the region – the English, French, and Spanish. Ultimately, around the 17th century, the island was divided up and the Kalinago found themselves attacked from all sides – with scores killed and many more rounded up and sold into slavery. The island continued to change hands with occasional attacks and the odd diplomatic favour. After much back and forth, the islands were ceded to the British in 1713. 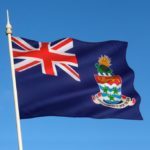 While initially governed separately, nearby Anguilla was unified alongside Saint Kitts and Nevis in the late 19th century – much to the chagrin of the latter (the people of Nevis still believe they are neglected by their neighbour). Saint Kitts, Nevis, and Anguilla were granted autonomy in 1967, though the latter soon rebelled and separated. Saint Kitts and Nevis finally achieved independence in 1983. Though rumblings of a separation of Nevis are still heard, a referendum held in 1998 came up just short (it had a 62% majority for separation, though it required 2/3). While this and the havoc of hurricanes have adversely impacted the country, it has remained steadfast in its vision since independence. Saint Kitts and Nevis has much in common with other nearby Caribbean islands that were governed under the British. West African and British heritage are the most visible influences, while the importance of Christianity cannot be overlooked. Festivals, celebrations, and music are all key components of cultural expression in Saint Kitts and Nevis. The flag of Saint Kitts and Nevis consists of a green triangle on top, a red triangle on bottom and a black stripe with yellow edge and two white stars through the middle. 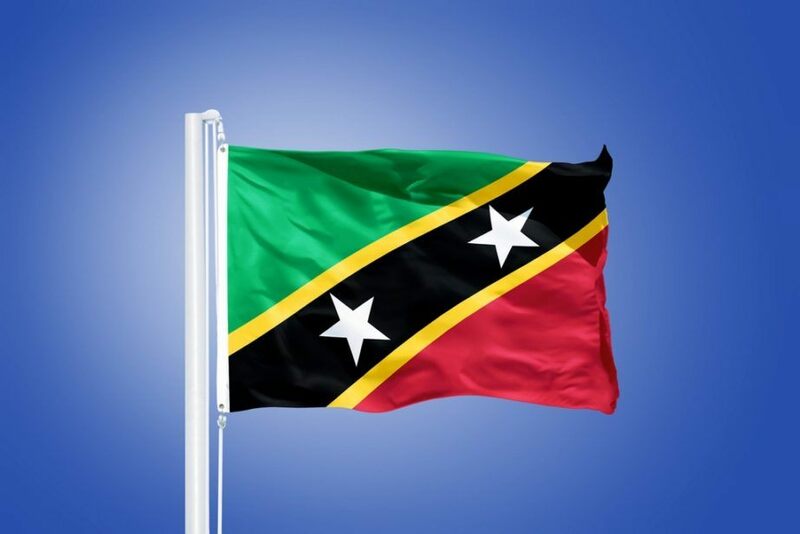 Green represents the fertile land, red the blood shed during the fight for freedom, yellow the sunshine, black for the African origins of the islanders, and the stars represent the two islands. The country is very fertile, and as such local produce is an important part of any diet. Seafood and meat (especially goat) are popular throughout. Overall, the dishes are similar to many other Caribbean islands with simple and spiced meals. Rum is popular throughout the islands as well. Like many other countries in the former British Caribbean, cricket is the dominant sport. Saint Kitts and Nevis competes as part of the West Indies team – one of the top international squads around. Soccer is also popular on the islands, as are athletics and cue sports. 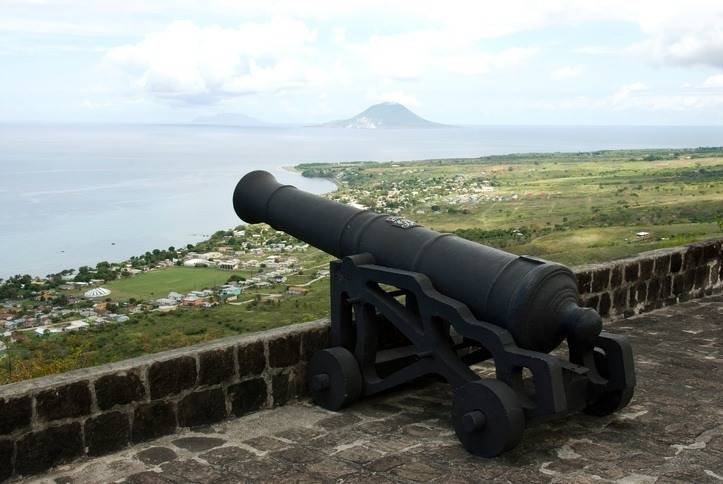 The two main island that make up Saint Kitts and Nevis are…well, Saint Kitts and Nevis. They are both volcanic in nature, with large mountains and tropical rainforest in the centre. This gives way to coastal regions where the majority of the population lives. Basseterre is the capital and largest population centre in the country. 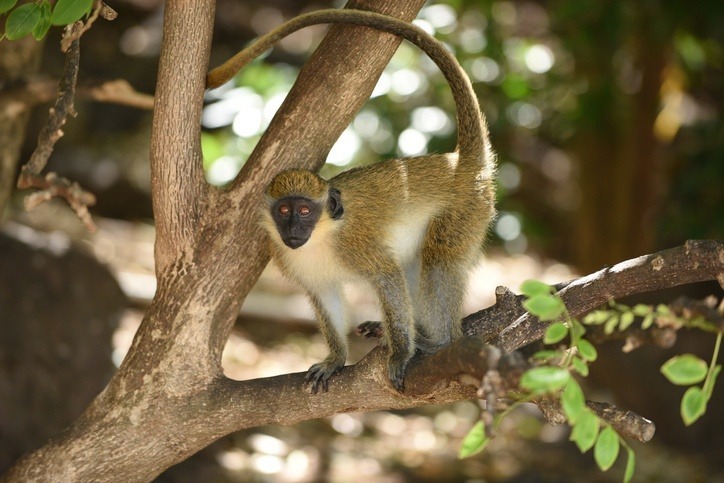 It is home to about 13,000 people and is found on the west coast of Saint Kitts. Charlestown is the largest town in Nevis, with a population of about 1,500. While the relations between the two islands might be up in the air, the amazing experience both bring to the table is not! Much more awaits with Continental’s Countries. 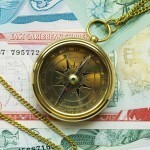 Learn about the Eastern Caribbean dollar with our Currency Spotlight and discover the what both islands have in store with our Travel Guide.